Chef John Nguyen Has Left Hanoi HouseHe’s going to open a new restaurant in Hong Kong. Marlow & Sons Has a New Chef, and a ‘Sneaky’ New MenuThe Williamsburg fixture is going through changes. One of America’s Best Food Writers Just Took an NYC Chef JobDavid Tanis once ran the kitchen at Chez Panisse. Chef Victoria Blamey Has Left Chumley’sShe’s very much responsible for the restaurant’s success. Mission Chinese Chef Angela Dimayuga Has ResignedAfter six years, she’s amicably splitting with Danny Bowien to do her own thing. Per Se, After a Rocky Few Years, Names a New ChefCorey Chow has worked at the NoMad, Torrisi Italian Specialties, and, yes, Per Se. 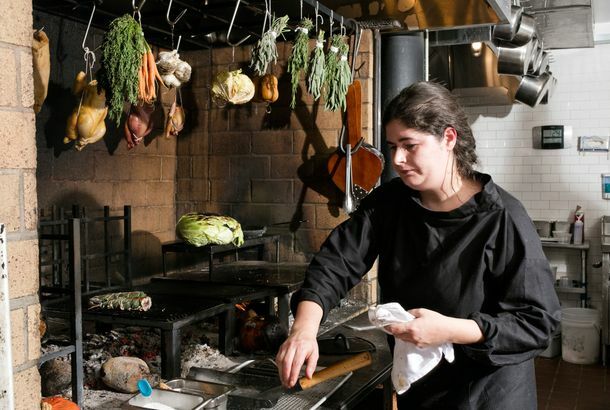 Chez Panisse Chef Will Leave After 22 Years on the JobHe’s going to work on a third cookbook. Chef Emily Seaman Has Left DizengoffHer cooking at the restaurant’s Philadelphia and New York locations made them must-visits. Two of New York’s Most Notable Chefs Are Leaving Their RestaurantsLincoln’s Jonathan Benno and the NoMad’s James Kent are both moving on to pursue solo projects. Extra Fancy Is Expanding, With the Help of Shanna PacificoA 2,000-square-foot outdoor space is coming this spring. Another Talented, Celebrated Chef Has Left the Restaurant WorldTien Ho, formerly of Má Pêche, is working for Whole Foods. Gabe Thompson Is the Latest Chef to Leave New YorkHe’s the executive chef at dell’anima, Anfora, L’Artusi, L’Apicio, and Alta Linea. 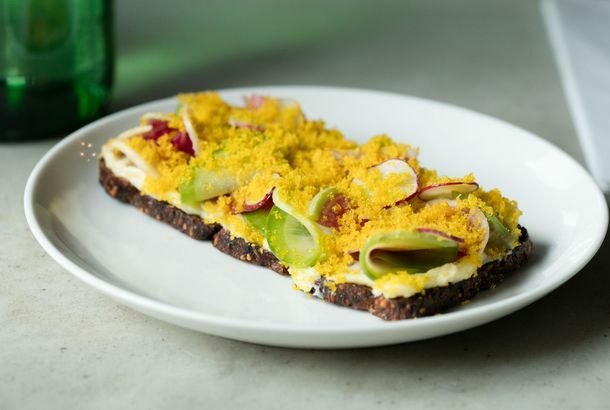 Check Out the Food on Pearl & Ash’s Brand-New MenuSweetbreads, octopus, and chicken liver with foie gras. Gordon Ramsay’s Top Chef Is Moving On to Open Her Own RestaurantShe had run the kitchen at the three-Michelin-starred Restaurant Gordon Ramsay since 2007. A Roberta’s Alum Will Lead the Kitchen at Seattle’s CelebratedMeet Brady Williams. Blenheim and Chef Ryan Tate Part WaysThe restaurant is on its third chef in less than a year. Tacombi Team Opening Taqueria in FlatironFormer Peels chef Jason DeBriere’s onboard. Bruce Kalman Checks Out Of Churchill, Launches Pickle LineThe chef is launching Bruce’s Prime Pickle Co. while concocting his own pop-up. David Feau Replaces Remi Lauvand As The New Executive Chef at Le KaOne respected French chef is followed to this Downtown restaurant by another. Big Is Closing, Moving to Mid-Market; Charanga Space in the Mission Has SomeAlso, chef Banks White is leaving Five in Berkeley. David Codney Named New Exec Chef at The PeninsulaMeanwhile, James Overbaugh is stepping into a management role. Freddy Vargas Returns To Scarpetta Beverly Hills As Executive ChefAlex Stratta is leaving after just four months for a personal leave of absence. NOLA’s Now Serving Executive Chef Farid Zadi’s MenuThe French-Algerian chef will add harissa to his BBQ sauce and cook his jambalaya in a paella pan. Burger Joint Scales Back to One S.F. Location; Smitten Renames Its Ice CreamAlso, a chef shuffle at Jasper’s. Tart Vet Lauren Kyles Arrives at Downtown’s P.S. 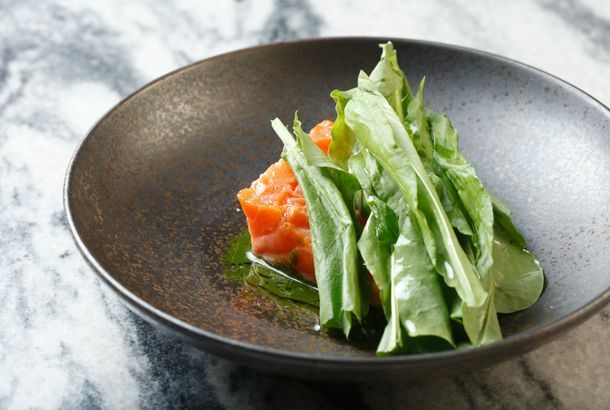 612The chef cites her Southern and Southwest heritage as primary influences. Charlie Palmer Hires New Chef for Burritt Tavern, Aims to Make the MenuThe restaurant attached to the Burritt Room will get some lighter fare. Marea Veteran Jimmy Everett In The Kitchen at Sonny’s HideawayThe new Highland Park restaurant is getting ready for its May debut. Phillip Frankland Lee Departs D’Cache To Open Scratch Bar in HollywoodThe new dinner-only full service restaurant will take over the night shift at Tiago Espresso Bar. New Chefs at Bix, Amber Dhara, and Sweetwater Music HallGordon Drysdale is once again a free agent. Frank DeLoach Replaces Joseph Mahon at Early BirdThe Mezze vet is introducing new Asian-inspired dishes and will soon start dinner service. Brandon Jew Departs Bar Agricole, May Be Working on Chinese-Inspired ProjectJew was the opening chef in August 2010. Timothy Hollingsworth to Leave the French Laundry, Move to L.A., at the End ofHe’s planning to spend some time surfing, learning video production, and eventually refining the concept for his planned taqueria chain. Mette Williams Wins ‘Chef Wanted,’ Earning Exec Chef Position at CulinaThese days, a resume that includes Spago and Cut perhaps isn’t as persuasive as claiming victory on reality T.V. Charles Olalia Promoted to Exec Chef Position at PatinaThe 29-year-old chef traces his roots back to Guy Savoy and French Laundry. Rigo Salas Named Chef at Don’t Tell Mama; Andy Sonnefeld Takes Over at MarconaThe Melrose sandwich shop will shutter for ten days in March for a revamp of space and menu. Chef Roulette: Adam Sobel In, Jason Berthold Out at RN74Sobel most recently worked at Bourbon Steak in D.C.
Gather’s New S.F. Spot Gets a Name; West of Pecos Swaps ChefsAlso, Chubby Noodle is expanding to the Marina. Heartbaker Coming to the Richmond; Ramen Shop Hosts Meatpaper PartyAlso, Smitten Ice Cream needs a new name for their ice cream machine.